Well. It has been a few months since we wrote about our March trip to Sonoma and Napa. We’ve been busy working on paying projects to support our wine habit. 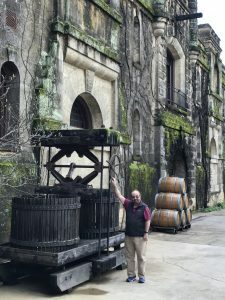 While we were in Calistoga we visited Chateau Montelena and Picayune Cellars. This is our weekend in Sonoma part Calistoga. We went to Calistoga for the Spire Collection event.. 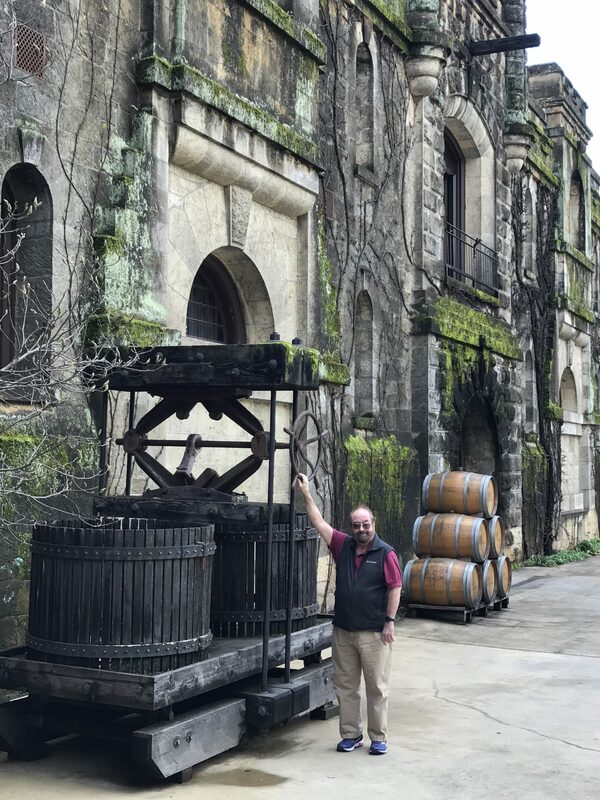 Neither of us had ever visited the justifiably famous Chateau Montelena (featured in the movie Bottle Shock). We brought home three bottles of their zinfandel. If we had the patience to wait 20 years we might have picked up a bottle of their cabernet sauvignon. Forthwith our review of the wines. Their 2015 Napa Valley sauvignon blanc ($35) opens with citrus aromas leading to yellow grapefruit on the palate. (The current release is the 2016 vintage at the same price.) A 2014 chardonnay ($58) was appealing with no butter and very light oak. But it lacked fruit. By far our favorite was the 2013 Napa Valley zinfandel featuring an unusual butterscotch nose with bing cherries and light berries on the palate. (The current release is the 2014 vintage from Calistoga for $39.) Finally, if you can wait 20 years we have the perfect wine for you. The 2013 Montelena Estate cabernet sauvignon ($160) currently shows a nice balance of tannins, oak, and fruit with a good structure. Our second stop was Picayune Cellars. We’ve written about them before and looked forward to dropping by their new tasting room. Claire Ducrocq Weinkauf is now the sole proprietor of the enterprise, having bought out co-founder Jennifer Roberts a few years ago. 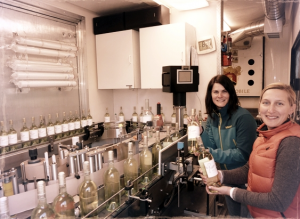 Claire works in the spirit of a French négociant, buying wines from different sources and blending them. The quality today is just as good as the first time we tasted their wines. Current production is 2,600 cases per year. These are all major bargains. Claire knows her stuff. 2015 sauvignon blanc ($21). 87% Red Hills Lake County, 13% Napa Valley. Aromas of lemon, gooseberry and grapefruit. The palate is bright and lively with lime zest, Asian pear and lemon curd. 2014 Sonoma Coast pinot noir ($29). A burst of juicy blueberry and fresh raspberry. The vibrant fruit flavors are complemented by hints of lilac. 2014 Padlock ($29) 73% merlot, 21% malbec, 6% cabernet sauvignon. Deep layers of black cherries, cassis, blackberries, cocoa, currants and bit of truffle on the nose. A rich mid palate with attractive texture and excellent acidity, This one needs to sit for a few years.